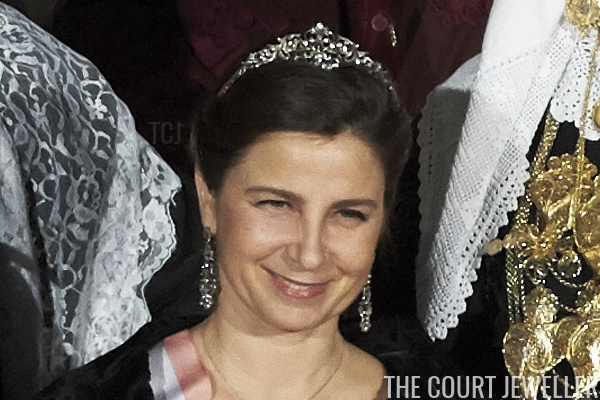 Below is a list of the tiaras worn by the women of the former royal family of Portugal; it includes only the tiaras currently worn by the family, not historical tiaras or tiaras whose ownership is currently uncertain. Click on the title of the tiara to be taken to pages with fuller histories, large images, and much more information. Enjoy! 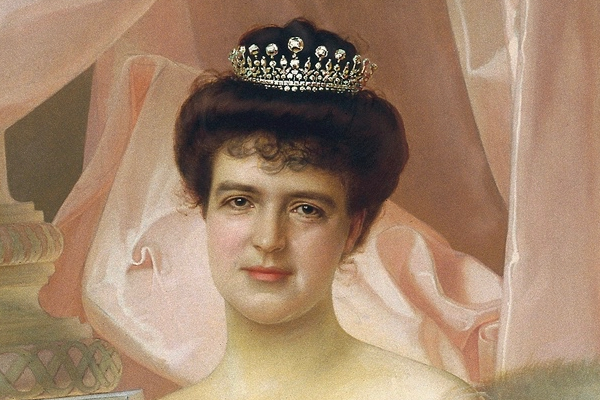 The Braganza Diamond Bandeau: A small diamond tiara that features floral elements interspersed with twisted diamond bands, able to be worn as a closed circlet or a more open bandeau. Likely made in the 20th century. Originally in the collection of Maria Francisca of Orleans-Braganza and later inherited by her eldest son, Duarte Pio of Braganza. Worn by Maria Francisca of Orleans-Braganza and Isabel of Braganza. The Braganza Floral Necklace Tiara: A diamond floral necklace, able to be placed on a frame and worn as a tiara, accompanied by a coordinating pair of earrings. Worn by Isabel of Braganza. The King Luis Diamond Tiara: A classic diamond tiara featuring floral-esque motifs topped by diamond brilliants. Given to Queen Amelie of Portugal as a wedding present in 1886 by her father-in-law, King Luis. Bequeathed to her godson, Duarte Pio of Braganza, in 1951. Worn by Queen Amelie and Isabel of Braganza. 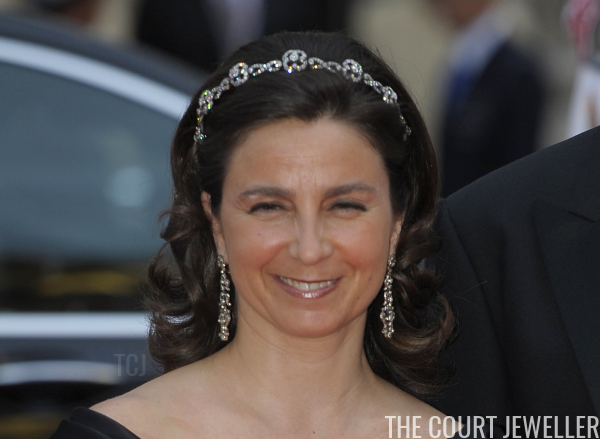 Worn as a wedding tiara by Isabel of Braganza (1995).